Eric and I had such a great time at holiday parties this year! We had a repeat performance at a corporate holiday party - our third year! - with face painting and temporary tattoos. 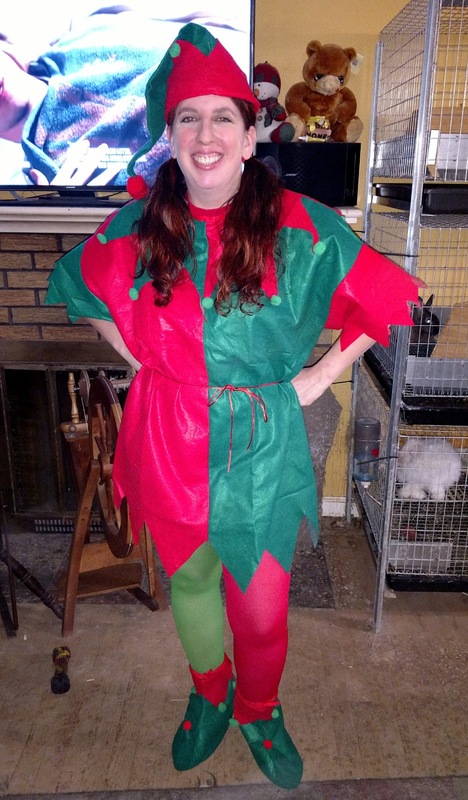 And then I had the best time ever on Christmas Eve, where I was hired to face paint at a family party ... dressed in elf! The family was terrific, and I had such a blast. I got to play the character the whole time, which was hysterical when one of the kids asked how I'd gotten there, and I told him the truth - Santa had let me borrow one of his spare sleighs. The boy wanted to see it, so I explained to him that Santa's magic disguised the sleighs, so that when human eyes looked at them, they looked like regular cars, and showed him my Ford Escape out the window, which he understood was obviously proof of Santa's magic! On top of that, I was so good this year that Santa let me hand out his gifts to the kiddos in his stead. I honestly teared up at the honor. It made my night. For New Years, I was at a country club with friends, face painting at a blacklight glow party, and got my first ever request for a ram! Nothing says New Year's Eve, though, like a glowing zombie!